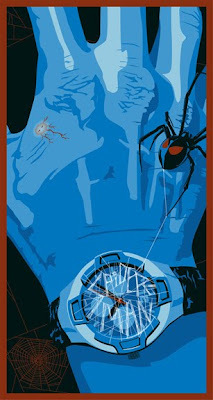 I worked with WeLoveFine.com to have my hand/spider poster be officially licensed with Marvel. This also gave me the opportunity to put the words "Spider-Man" on the watch. The alternate version is still available as a limited run of 25 (signed and numbered) at Ltd. Gallery as Giclee prints. 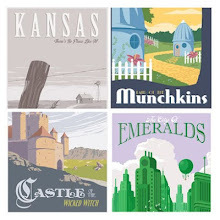 WeLoveFine.com has t-shirts and prints available. Prints come in two sizes: 18 by 24 and 24 by 36 inches.